With the looming threat of Acererak and the result of his phylacteries spawning evil across the Cloud Spires and beyond, Vane Thal'adriel saw that city militia would not be enough to fight off this threat. Unable to rely on the Echelon, with their questional practices and motives, Vane has begun uniting the holy knights, paladins, and clerics of the Spires to form a holy crusade in the name of their God of Light, Pelor. Under the command of the Church of Sun & Scroll, the Sun Walkers see the threat that Acererak brings to the world and has made their mission to destroy him and his influence and stop his rise to power. True to their nature, this army of the light shows true strength in good, pride, and religous law. 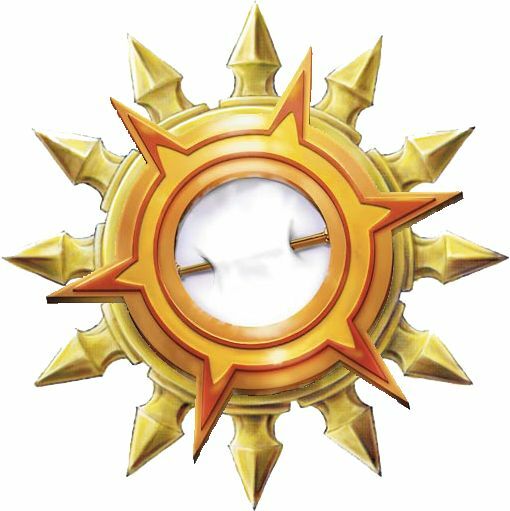 Should the Cloud Spires be threatened by evil intent, the Sun Walkers will enforce the wrath of Pelor and his strength will fuel the Sun Walkers with holy fervor. Generally created to combat the evils that seek to destroy the world, The Sun Walkers will show vindication and judgement to any mortal that aid said evils and are found guilty in the eyes of the Dawn Father. Those that are found guilty are known to them as "Scorched Ones". Emblazoned with gold and red, they walk proud in the light, and no darkness can penetrate their resolve. While the Sun Walkers are formed from the Pelorites of the Cloud Spires, their relationship with the Ohgmites is recognized as crucial and they maintain their symbiotic relationship, to the extent that some Oghmites are included within the Sun Walkers ranks. Their headquarters resides as a group of three offices in an unused area of the Church of Sun & Scroll. The organization is working to expand their reach and capability with recruitment and training in the arts of close combat, and magic. A decision to relocate their headquarters was made to allow the Church of Sun & Scroll to be the focus of worship and research. It is currently being built just outside the walls of Royals Peak, and named the Solar Fortress.